Heat oven to 400°F. Spray dark or nonstick cookie sheet with Crisco® Original No-Stick Cooking Spray. Unroll dough on cookie sheet; press into 12x9-inch rectangle. In small bowl, mix preserves, mustard and pepper sauce until well blended. Spread evenly over dough to within 1/4 inch of edges. Top with shrimp. 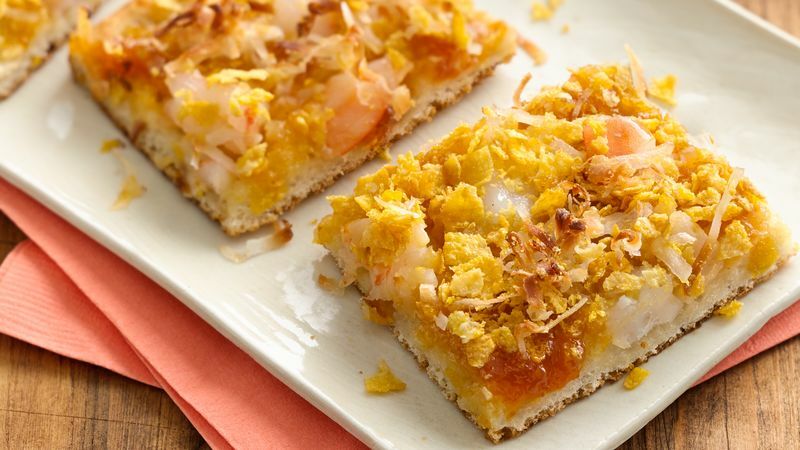 In another small bowl, mix cereal crumbs and coconut; sprinkle over shrimp. Bake 12 to 18 minutes or until golden brown. Serve warm.